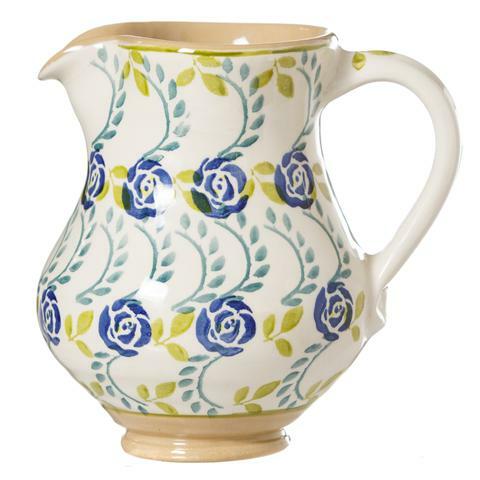 These Climbing Rose Jugs were made for Ann Marie's in limited quanitiy. Only 12 available this season. They are so beautiful (we hope they continue making this pattern). Select one today as the perfect gift for the Nicholas Mosse Collector. 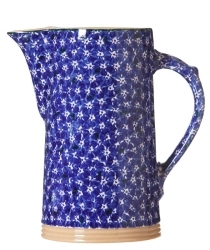 Blue roses cascade down the sides of the pitcher with aquas and greens. 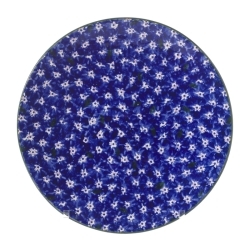 Their slightly retro look would pair well with any early or mid century style interior. 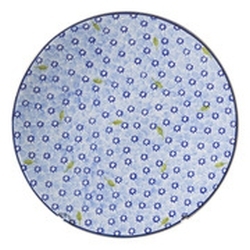 A basic prettiness and simplicity make this pattern stand out.